CHARLOTTE, NC (WBTV) - Representative Robert Pittenger has released letters exchanged with the commissioner of the NBA after the league pulled the 2017 All-Star Game from Charlotte over controversy from the state's House Bill 2. The NBA released a statement last week, saying it was relocating the game from Charlotte. "While we recognize that the NBA cannot choose the law in every city, state, and country in which we do business, we do not believe we can successfully host our All-Star festivities in Charlotte in the climate created by HB2," the statement read. "We are particularly mindful of the impact of this decision on our fans in North Carolina, who are among the most passionate in our league," the statement continued. "It is also important to stress that the City of Charlotte and the Hornets organization have sought to provide an inclusive environment and that the Hornets will continue to ensure that all patrons – including members of the LGBT community – feel welcome while attending games and events in their arena." What is House Bill 2? HB2 requires individuals to use the bathroom corresponding to the gender listed on their birth certificate in government buildings, schools and universities. It initially took away the ability of employees to sue their employers in state court for discrimination or wrongful termination, among other things. Months later, the NC legislature voted to change a portion of HB2 that stripped workers of the right to sue their employers for wrongful termination. The bill was passed in a one-day special session in late March and was signed by Governor Pat McCrory later that night. It came as a response to a non-discrimination ordinance passed in February by the Charlotte City Council. The ordinance broadly defined how businesses should treat gay, lesbian and transgender customers. The debate, as in other cities, focused on bathrooms. After its passage, several high-ranking North Carolina Republicans, including Governor McCrory, voiced concerns about people having the ability to choose public restrooms corresponding to their gender identity. The day after House Bill 2 was signed, the National Basketball Association (NBA) speculated that the bill might affect the Queen City hosting the game. The league said when the "issue of legal protections for the LGBT community in Charlotte became prominent," it began "working diligently to foster constructive dialogue and try to effect positive change." In June, On Your Side Investigates obtained legislation drafted by leadership in the North Carolina House of Representatives which sought to walk back portions of House Bill 2. The draft legislation was the result of months of conversations between leadership in the state legislature, including the Speaker's office, and officials from the NBA, On Your Side Investigates learned. A source told WBTV if proposed legislation had passed it would have been a big step in helping the league to make the decision to keep the game in Charlotte. "What the league is looking for is for anyone to be able to use, at any All Star venue, the bathroom associated with their gender identity," the person said, adding that that goal extends to all venues used by NBA teams. The NBA said it did not endorse the draft version of the bill that planned to be proposed. The North Carolina General Assembly failed to pass a bill that would have made a number of changes to HB2 in its last session. After the NBA's announcement, Representative Robert Pittenger penned a letter to the league's commissioner, Adam Silver. 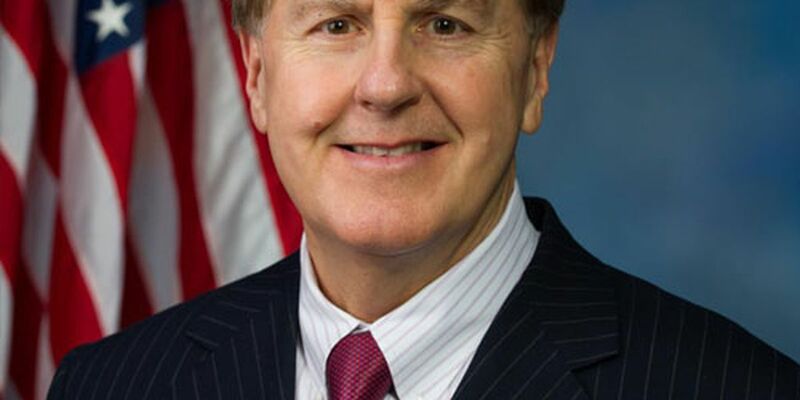 Pittenger referenced the "Chinese government practice of forcefully harvesting vital organs as part of their oppression of religious minorities. Meanwhile, the NBA will start selling tickets for preseason games in China next week." He asked Silver if the NBA was okay with "China's abhorrent violation of basic human rights" but found "North Carolina saying men shouldn't use the girl's locker room is a bridge too far?" Pittenger called the move "unmistakeable hypocrisy," saying there seemed to be a "gross lack of judgment and moral clarity" from the NBA. Tuesday, Commissioner Silver responded to Representative Pittenger's email. It started with a similar line from the NBA's original statement that it can't control the laws in states and countries where it does business, but they do have the ability to make "business judgments as to where we will be able to conduct our events successfully." Silver says the All-Star Game is designed to be a "celebration of the game of basketball involving all members of the NBA community - current and former players, league and team officials, business partners and fans." The letter says Charlotte was chosen as a host city in 2015, before House Bill 2 was passed. Silver says the law created a "nationwide controversy, and widespread litigation, with Charlotte as its geographical focal point." He continued by saying the league didn't feel like these circumstances would lead to a successful game, but added that it was "certainly not our preference to move the game." "And in case there is any doubt, the NBA is not abandoning North Carolina," Silver continued. "The Hornets remain in Charlotte and our other 29 teams will be traveling there to play games this season." Silver also pointed to the Hornets' D-league team, the Greensboro Swarm, which is start action this fall. Representative Pittenger sent a response letter Thursday morning, back to Silver, and included 16 representatives from 13 different states. The letter said pressure faced by the NBA and other companies "highlights a tragic reality," saying "liberal activists are more concerned with allowing men into the girls' locker room than standing up for female dissidents in China who face unspeakable sexual abuse and torture." Pittenger said these "barbarous acts in China have long been in the public domain prior to the NBA pursing a lucrative opportunity in China." He wrote the NBA has chosen to "bow to the firestorm in this country," saying China's lack of free speech gives the NBA a "safe haven" to advance its business interests. "Where was the left's righteous indignation when the NBA originally announce the all-star game in Charlotte?" he asked "Just a few months prior, in February 2015, the Charlotte City Council voted down the very same ordinance you now champion with your decision to withdraw the game." "We should all stand tall together and not allow the agenda of a few to dominate the better interests of all," he continued. "The NBA has enjoyed stellar success. May your success provide you the perspective an courage to deflect the challenges of an outspoken activist minority. Don't let sports become exploited for political purposes." The letter was signed by North Carolina representatives Richard Hudson, Walter B. Jones and David Rouzer, along with representatives from 12 other states.